Juniper Systems, Inc. recently announced the availability of its nonincendive Class I, II, and III, Division 2-certified version of the Mesa 2 Rugged Tablet. Called “Mesa 2 Hazloc,” the tablet is certified to perform safely in hazardous locations where explosive gases, liquids, vapors, dusts, or fibers and flyings may be present. The Mesa 2 Hazloc is ideal for oil and gas markets and other industrial uses, such as LDAR, preventative maintenance, refueling, and asset management, among others. 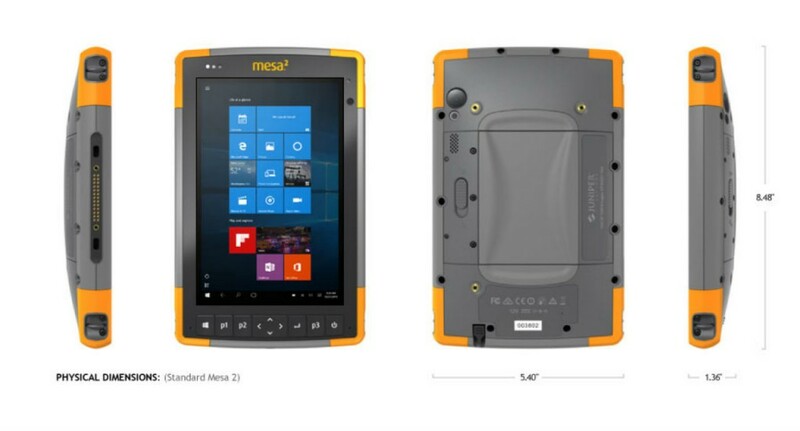 The Mesa 2 Hazloc features a full Windows 10 operating system, a large, 7-inch, IllumiView display for enhanced visibility, all-day battery life, and outstanding ruggedness with IP68-rated protection against dust and water. Also available on the tablet are a 1D/2D barcode scanner and UHF RFID reader, allowing for the rapid capture of data-rich readings.